Designed to bring simplicity to testing in manufacturing and environmental industries, the HI99300 Low Range EC/TDS Meter is designed for measurements in pure and low ionic strength water applications. 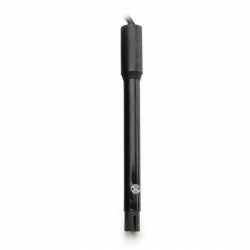 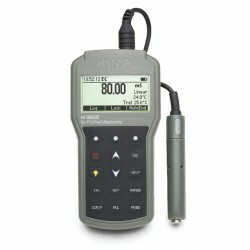 The specialized HI763063 probe features EC/TDS and temperature in one convenient, rugged probe for low range EC measurements from 0 to 3999 µS/cm and TDS measurements from 0 to 2000 ppm. 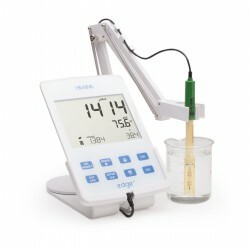 Comes with all the necessary solutions and batteries- everything you need to get started measuring right away. 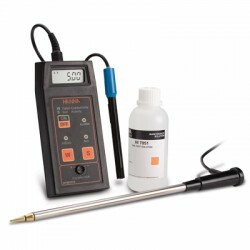 Perfect for water quality testing in manufacturing and environmental industries. 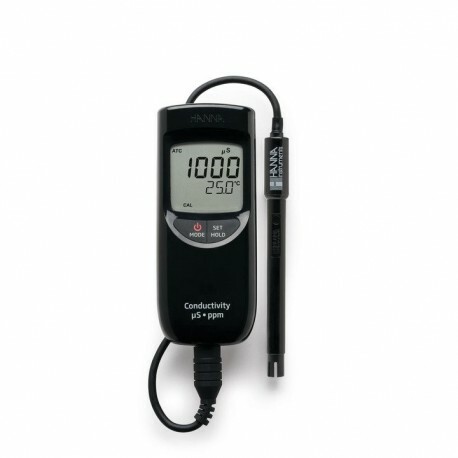 The included batteries provide 500 hours of continuous use. 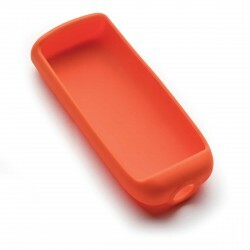 When the battery level is below 10%, a warning symbol will blink to indicate low battery condition. 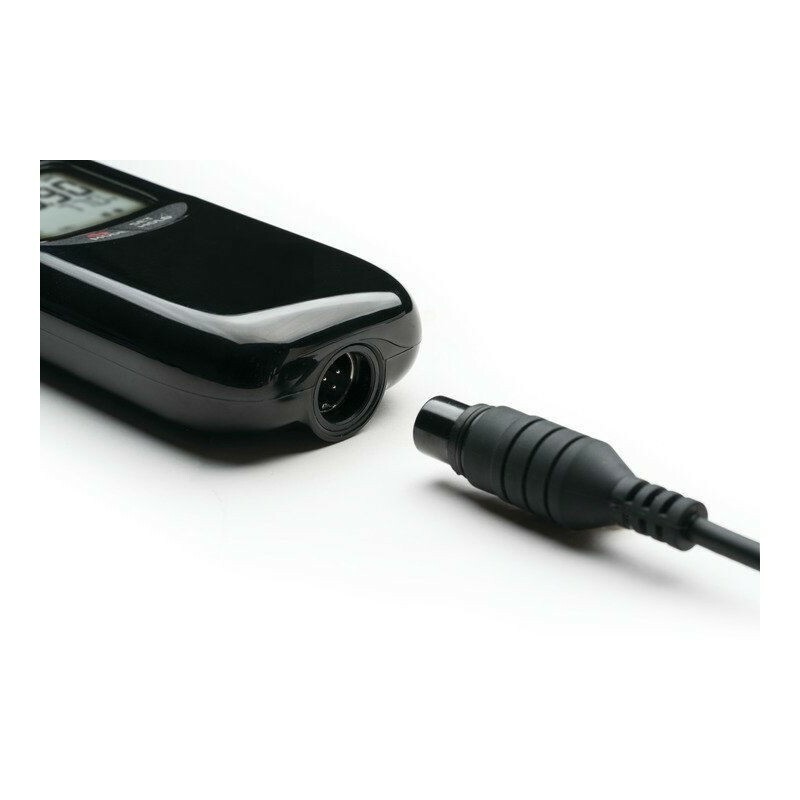 When low battery power may affect your results, the meter will shut down to avoid erroneous readings caused by low battery level. 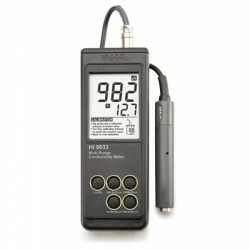 HI99300 offers two measurement modes: EC and TDS. 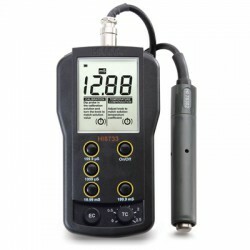 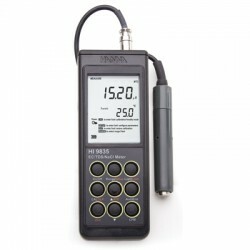 Users can easily switch between measurement modes with a simple press of the MODE button. 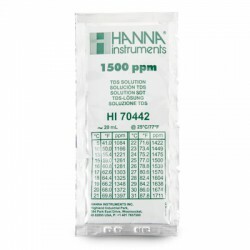 EC measurements range from 0 to 3999 µS/cm; TDS measurements range from 0 to 2000 ppm. 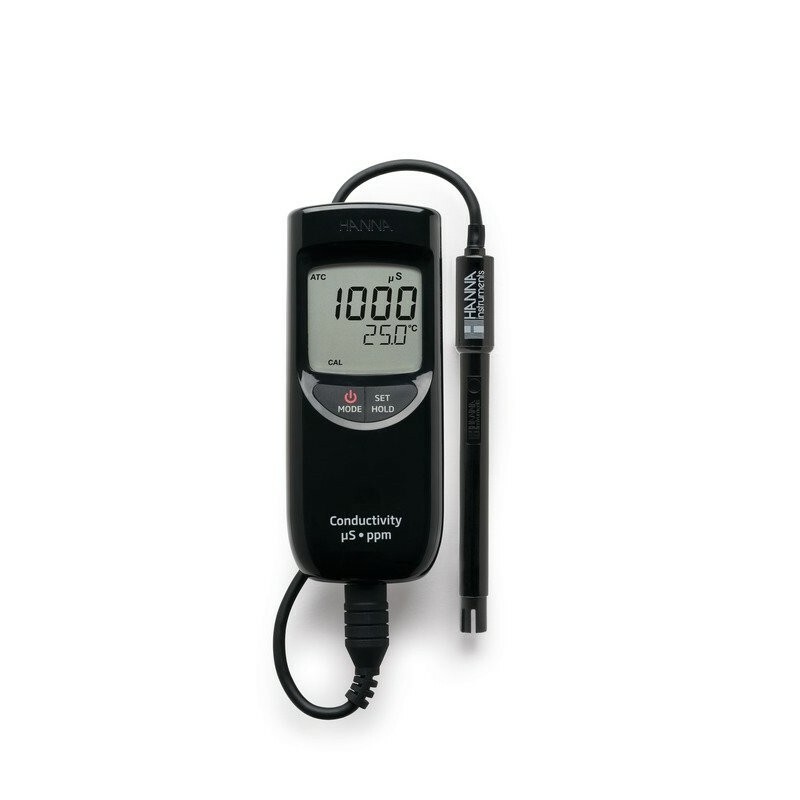 Made to fit comfortably in your hand for on-the-go testing, the multilevel LCD display provides at-a-glance readings of EC/TDS and temperature from any angle and dual button operation streamlines the testing process for any user. 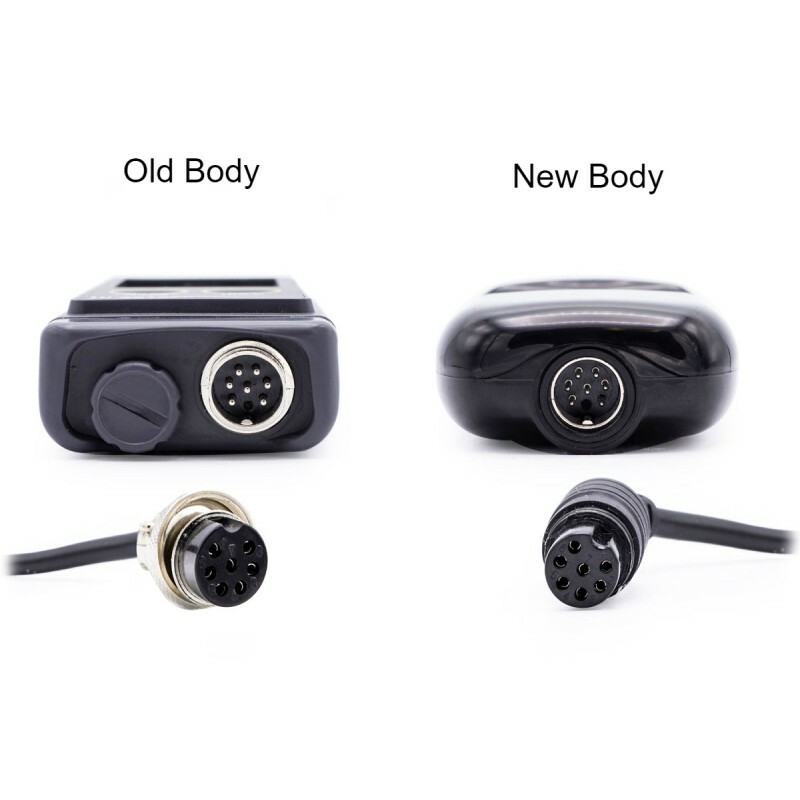 A Quick Connect DIN connector makes attaching and removing the probe simple and easy. 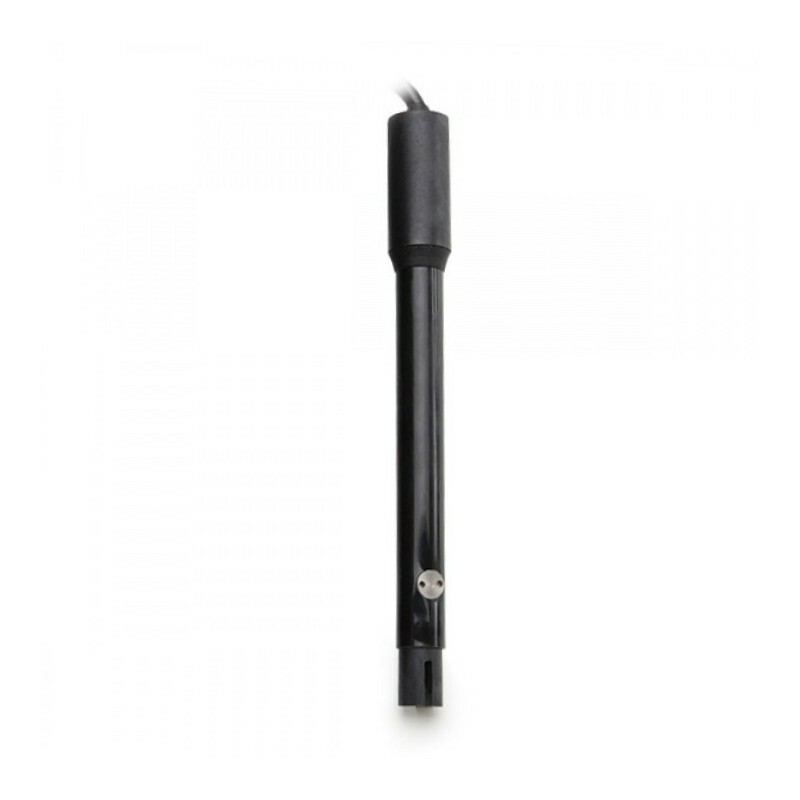 The rubber coating protects the cable and provides a water-tight seal without twisting. 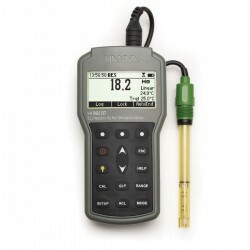 Conductivity/TDS/°C Meter High Range New model !